New 'Power Rangers' reboot movie will hit theaters in 2017. Did you know they're making a new Power Rangers movie? Lionsgate is currently working on a movie reboot of the popular sci-fi action kids series. And now they have their first Ranger. 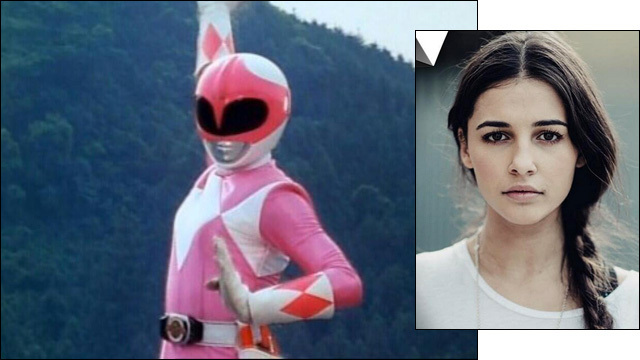 This week, it was announced that actress/singer Naomi Scott has nabbed the role of the Pink Ranger. Kimberly, the Pink Ranger, is the first role to be announced for the Power Rangers reboot, which is set to hit theaters in 2017. Scott's previous credits include the British comedy series Life Bites in the 2011 Fox sci-fi drama Terra Nova. She can currently be seen in The Martian and the upcoming drama The 33. Based in part on the Japanese TV show Super Sentai, the original Mighty Morphin' Power Rangers centered on a group of ordinary high school students who are bestowed with extraterrestrial superpowers to fight alien evil. The new Power Rangers movie is set to hit theaters in January 2017.